Having bad credit can certainly make obtaining an auto loan, mortgage or a credit card more challenging. Luckily there are some auto lenders willing to lend a hand to get you back on track and loan you the money you need in order to obtain a vehicle. 1. Don't Automatically Assume Your Credit Is "Bad"
You know when you have missed payments or declared a bankruptcy, but chances are you might not know exactly how it has affected your credit. The only place to check your credit report for free online (despite whatever commercials you see on TV) is AnnualCreditReport.com. You can "pull" all three of your reports - Experian, TransUnion and Equifax from here once per year, and it does not hurt your credit to check. You'll want to check these reports for accuracy and ensure that there aren't any fraudulent accounts being reported or any other misinformation. Then, head over to MyFICO.com to get your actual credit scores. This will cost you a couple bucks to get your score from each credit bureau. Each score is likely to be a little different, so you'll know your credit range. Don't worry if you fall into the "poor" to "dismal" range - not all hope is lost! Your credit score is only one factor of many that dealerships take into consideration when deciding to offer you a loan. If you have "average" credit or above, there's a good chance you can obtain a loan just about anywhere - bank, credit union or at the dealership. If you have bad credit, however, you may be restricted to where you can obtain financing. Luckily, there are financial institutions and new and used car dealerships that specialize in working with people with bad credit. These types of lenders typically require that you can prove your creditworthiness by other means, including your employment and housing history, income and several other factors. 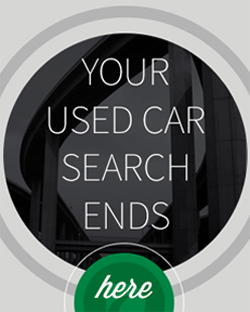 A typical loan term for a used car can range anywhere from 36 to 84 months, with 60 months being the most common. Interest rates will vary depending on your personal approval. Our interest rates can be as low as 5.9% OAC and the maximum interest rates are determined by your state's usury laws. which is why it is so important that you shop for the best terms with your credit profile. If you've been banking at the same bank for the past 10 years - start there first, especially if you have a relationship with a personal banker. Also, check with your employer to see if any special financing is offered through them. Military, AAA, senior citizens and even students are sometimes offered special rates, you simply need to check. Keep in mind though, traditional banks or credit unions typically don't finance anyone with bad credit, regardless of your history with them. 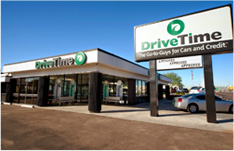 You'll need to head to a "buy here pay here dealership" or a financial organization that offers sub-prime auto loans. You are likely going to own this car for 5 or more years, so make sure it is the one you want! Purchasing a car is the second largest purchase people make in their lives (next to buying a home) so you'll want to ensure it's the car you want, and it is at a payment you know you can afford. Take your time deciding if you aren't sure, and make sure your budget is in check. You don't want to get two or three months down the road and realize you overspent or you're driving a car you really don't like. 1 out of every 9 car buyers with bad credit end up getting a "yo-yo" loan through a traditional dealership. A yo-yo loan is when the deal is not final, and the dealership calls you back days, or even weeks later and tells you that your monthly payment is actually higher, they need a higher down payment or the worst of all - you need to return the car because it turns out you actually weren't officially approved. How can you avoid this from happening to you? Check your paperwork and make sure the deal is final and not contingent or conditional. Once you sign the paperwork and drive away, the deal should be done and the car should be yours! Car finance can become complex because of the financing deal between the car dealer and the bank. But you can simplify your car loan using simple steps. Finalise your decision on the car you want to buy. Fix the amount of vehicle loan you need. Freeze on the lowest EMIs (equated monthly installments) that are offered. The processing fees can be waived if we know the tactics to negotiate with the bank. After than negotiate for cash discounts that can be adjusted against your down payment. Remember to claim your no-claim bonus on the insurance policy for the new car if you have a claim-free record on your existing old car. Helpful tips before getting car loans. Well, people have various misconceptions about bad credit or no credit. Above tips are really knowledgeable. One can follow these tips before getting a car loan. Hi Nathan – if you’re looking to obtain an auto loan, definitely check out our financing page. Really nice post about auto loan, I am highly appreciate to this content. Hi Don – We recommend giving your local dealership a call to talk to one of our Sales Advisors about what proof of payment is acceptable. I currently have insurance coverage on my old car still. Should I cancel it or keep it and after I have purchased the vehicle from Drive Time should I notify them of my new vehicle? Also, do I need to have FULL COVERAGE on a drive time vehicle? My credit falls under very poor. Does that mean that I will have a high monthly payment, and does Drive Time take into consideration that you are working with a credit company to rebuild your credit? This is a really great article about auto loans! My credit has always been great, but since my wife and I got married, her credit has made it difficult for us to get loans. I never realized that a dealership could give you a yo-yo loan, and increase your rate after a few months. I will have to make sure to avoid that. Thanks for sharing useful article about bad credit loans. Bad Credit Loans are helpful for those people who have suffered from credit problems in the past. Drove 1 hr to your dealer in pittsburgh just to find out that you cannot nut a select vehicle UNLESS your credit score and the amount of money u make is good. So instead of driving an $20000 car w 25000 miles u drive a car that costs the same but with 85000 miles on it. This really is a form of financially profiling someone and its discriminatory against them. How u get away with it i dont know but i will consult an attorney or the attorney general’s office for more info.